South by Southwest (SXSW) is an annual and one of the most well-known film, interactive media, and music festival and conference in the world held in Austin, Texas. 3M and Scotch tape aligned with the festival to install a giant 8ft x 6ft lightbox in downtown Austin as part of SXSW Eco Light Garden light art installations. 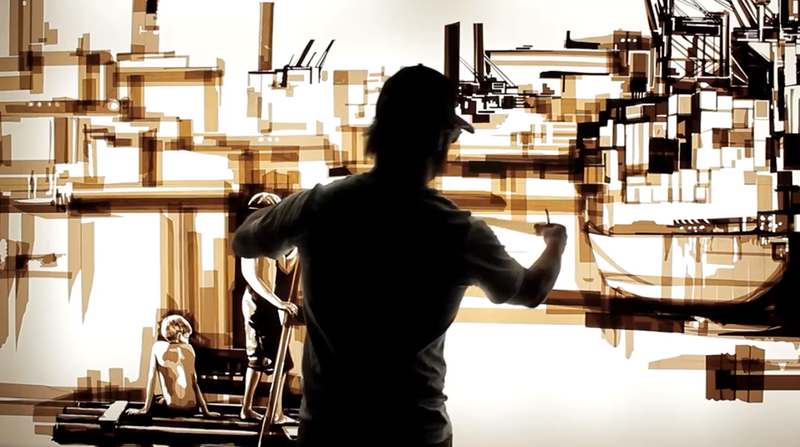 The work, portraying an environmental symbolism behind Mark Twain’s Huckleberry Finn, doubled as a stage backdrop for music artists like hip-hop legends Pharcyde. 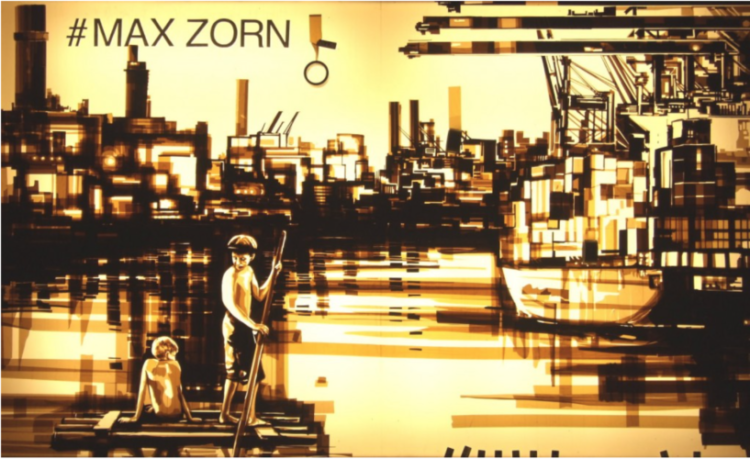 Max Zorn created live nightly for nearly a week as spectators spent time watching the artist at work and gazing at the creation. The video above was shared via street artist Banksy’s Facebook page, and received over 20 million views. Spectators drawn to the light, Max Zorn creating live for SXSW at the Eco Light Garden. 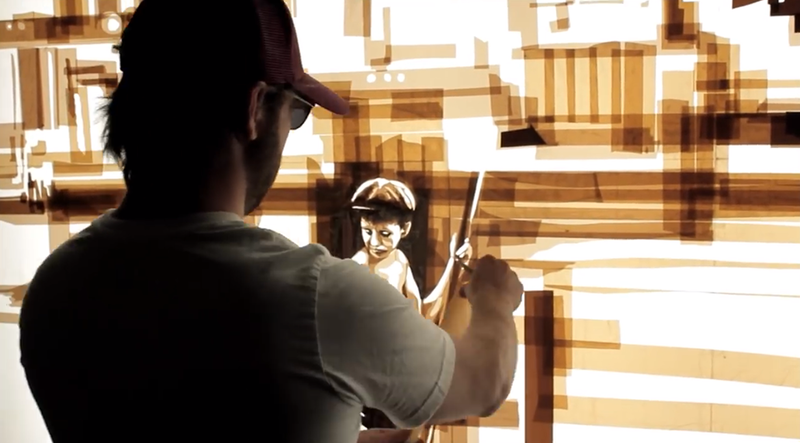 “Huckleberry” by Max Zorn was a massive 8ft x 6ft installation illuminating downtown Austin, Texas, while hundreds of thousands attend the annual South By Southwest festival. Sponsored by Scotch tape. 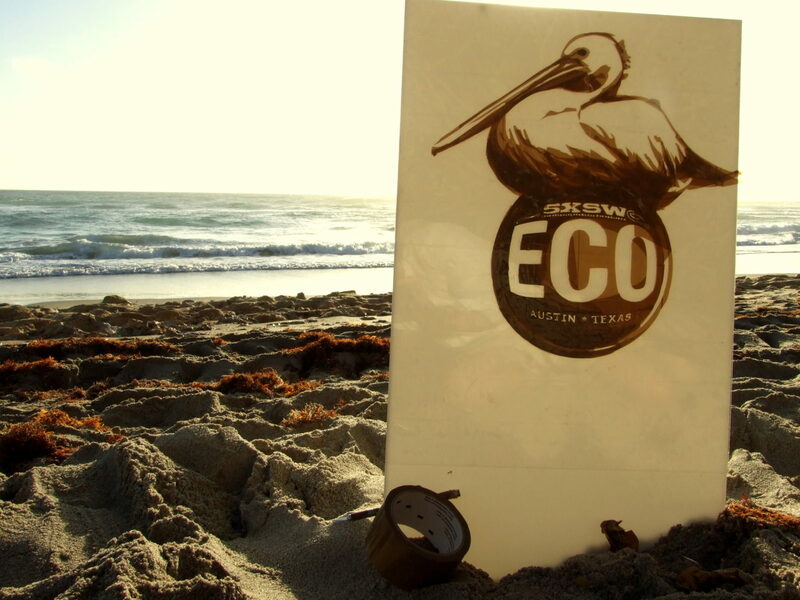 SXSW Eco by Max Zorn; made with brown packing tape, an element that also embraces the concept of upcycling medium.